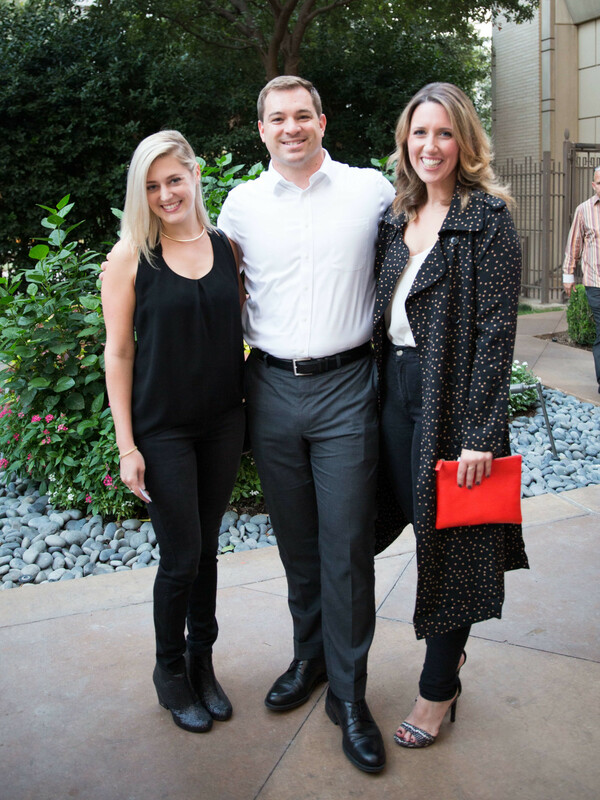 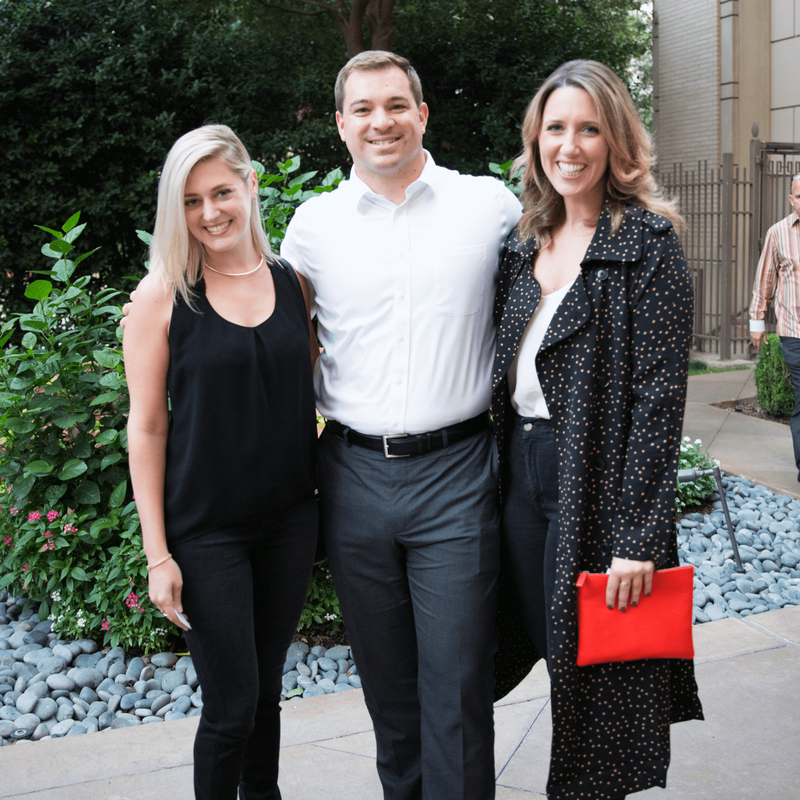 Dallas’ partying young professionals swarmed the patio at Fearing’s Restaurant on October 3 for the CultureMap Social: Top Texans Under 30 Edition. 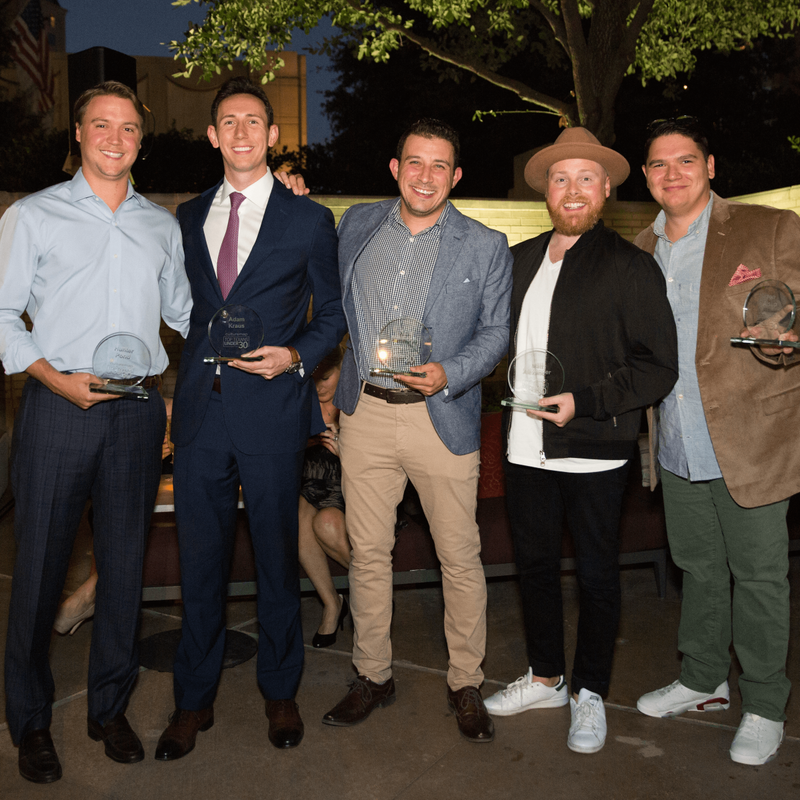 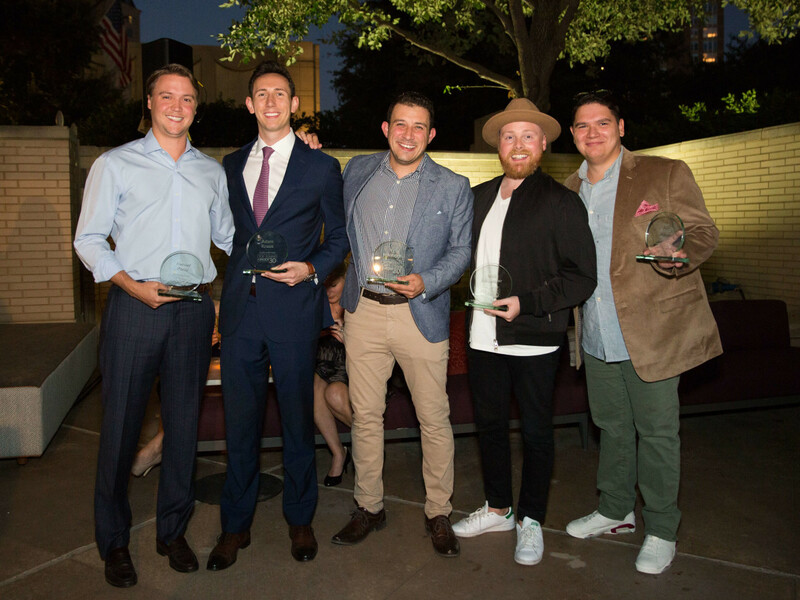 The happy hour honored the Dallas winners — Adam Kraus, Hunter Pond, Jon Alsup, Nick Marino Jr., and Matt Alexander — in our first-ever Top Texans Under 30, in which we celebrate the twentysomething trailblazers making stuff happen across the state and, in some cases, the world. 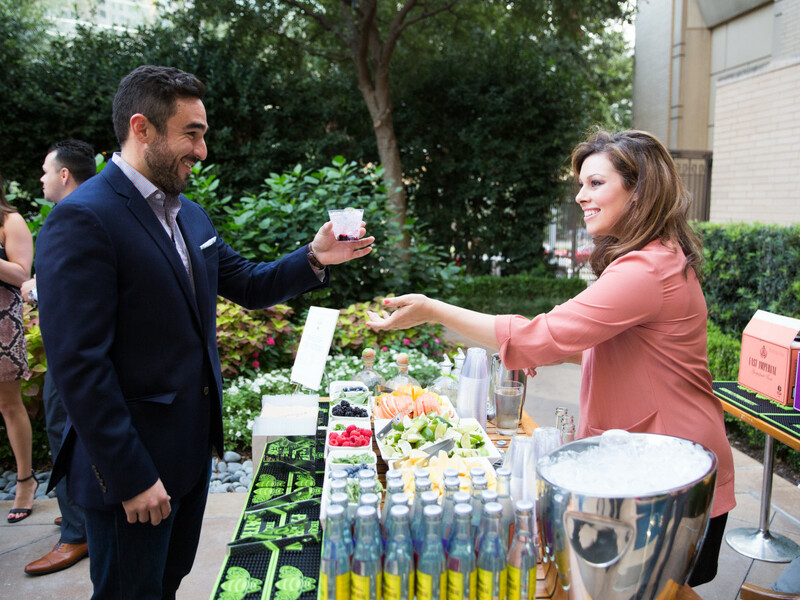 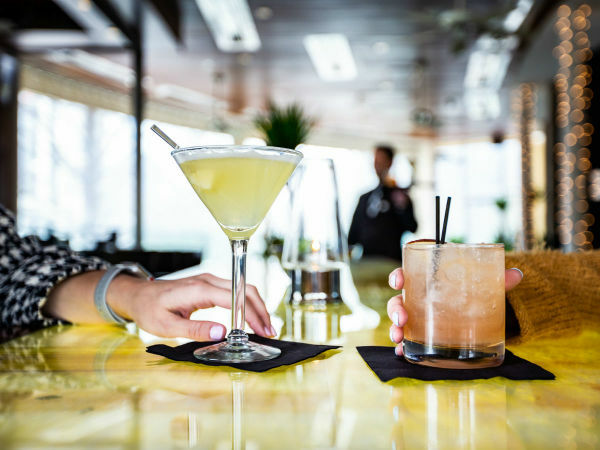 Upon arrival, guests checked in and grabbed their drinks of choice. 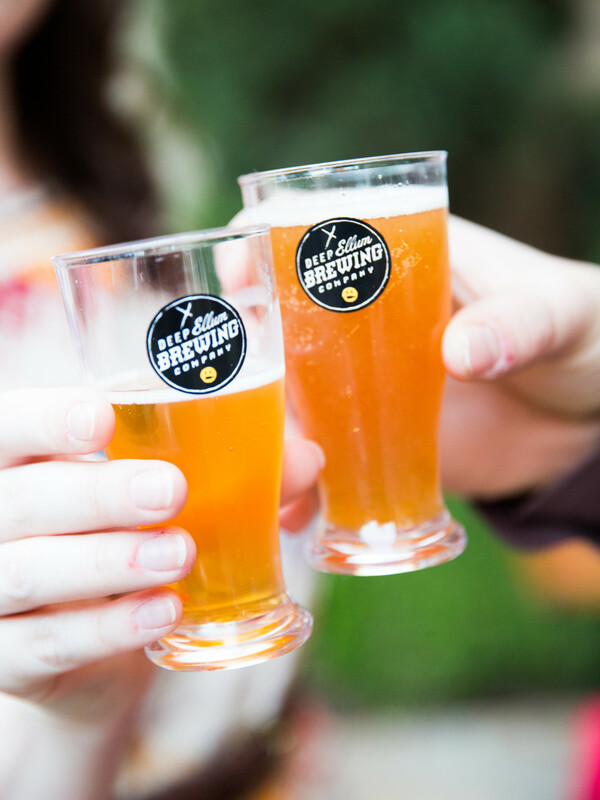 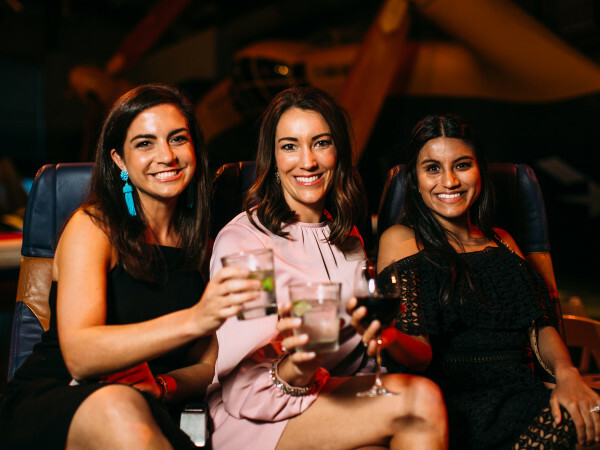 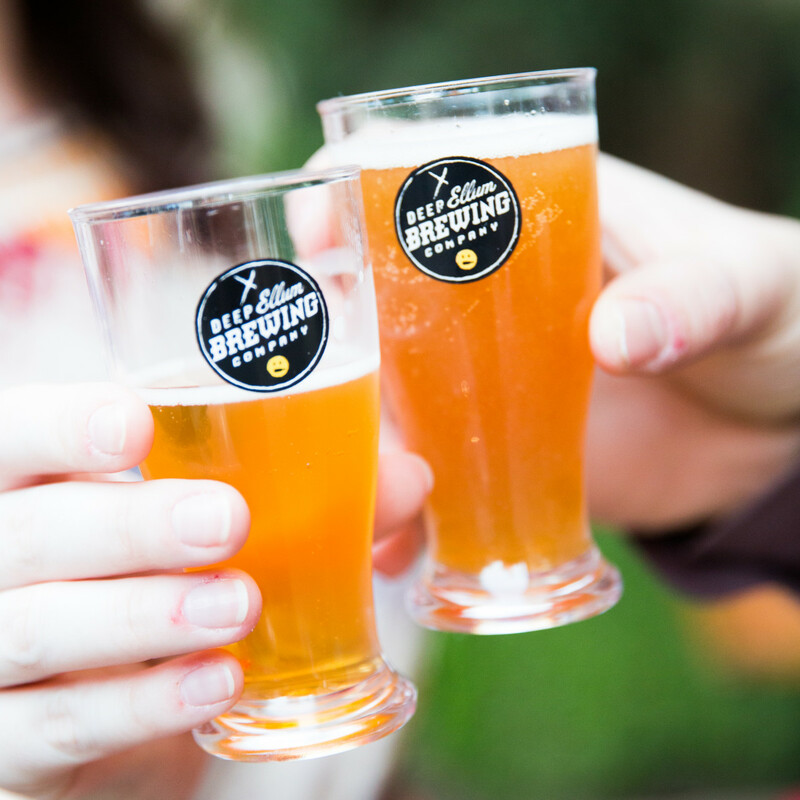 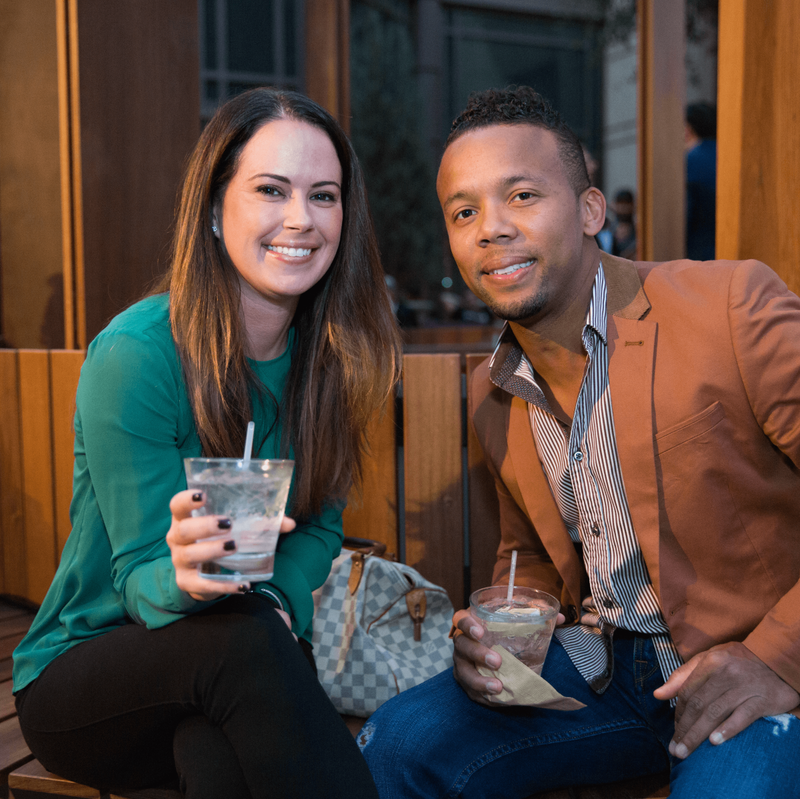 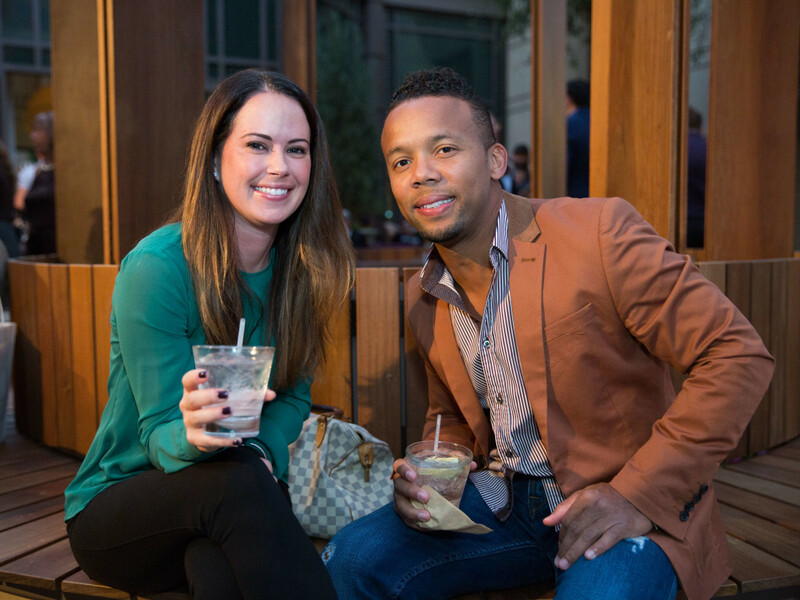 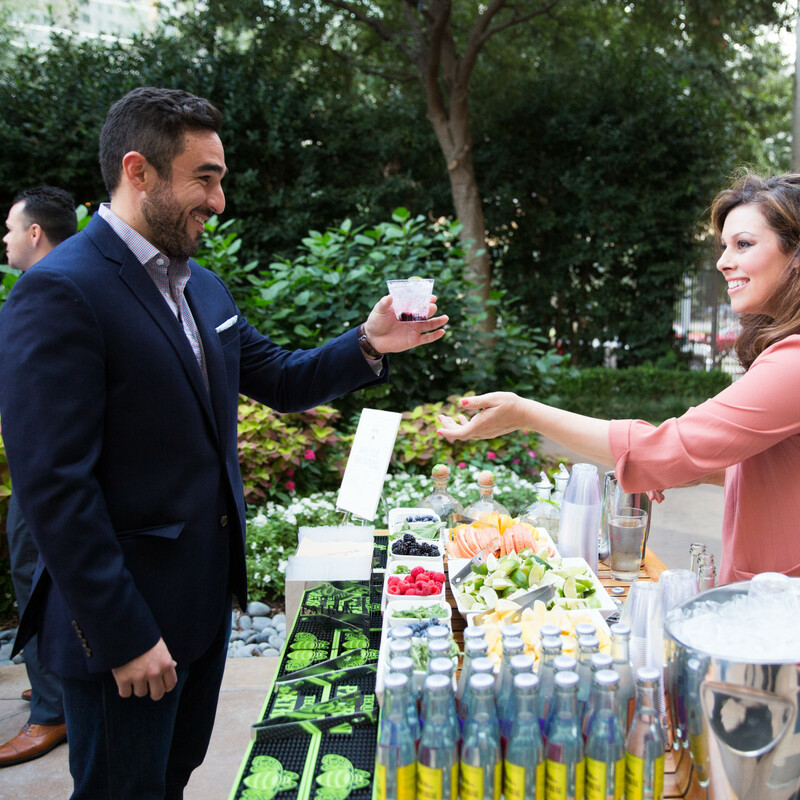 There were plenty of options — from a signature cinnamon apple Moscow mule at the main bar and an interactive drink station from sponsor Patron tequila, to two beers from Deep Ellum Brewing and a sampling station with more. 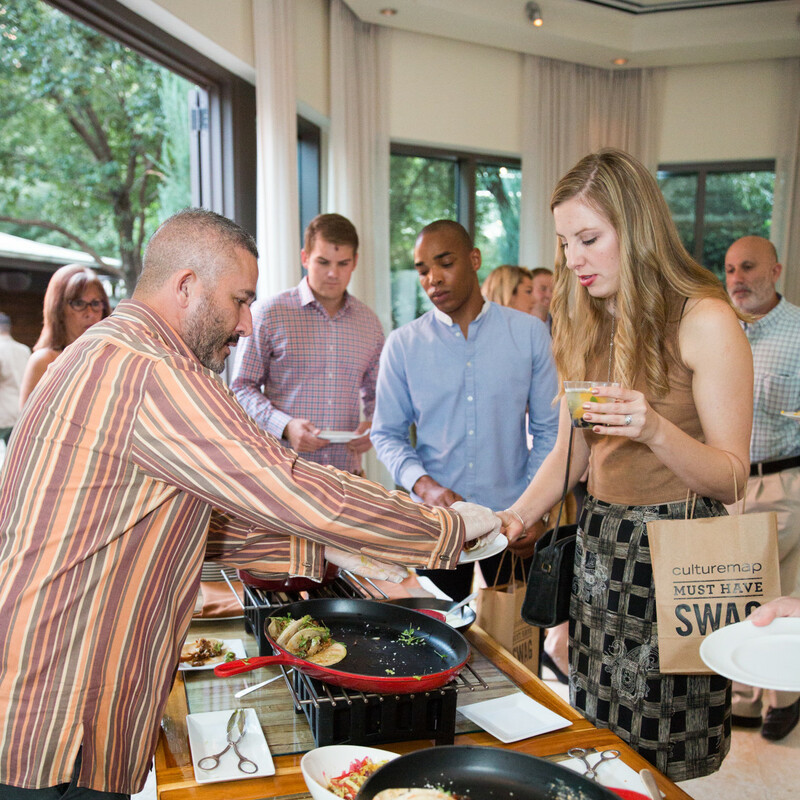 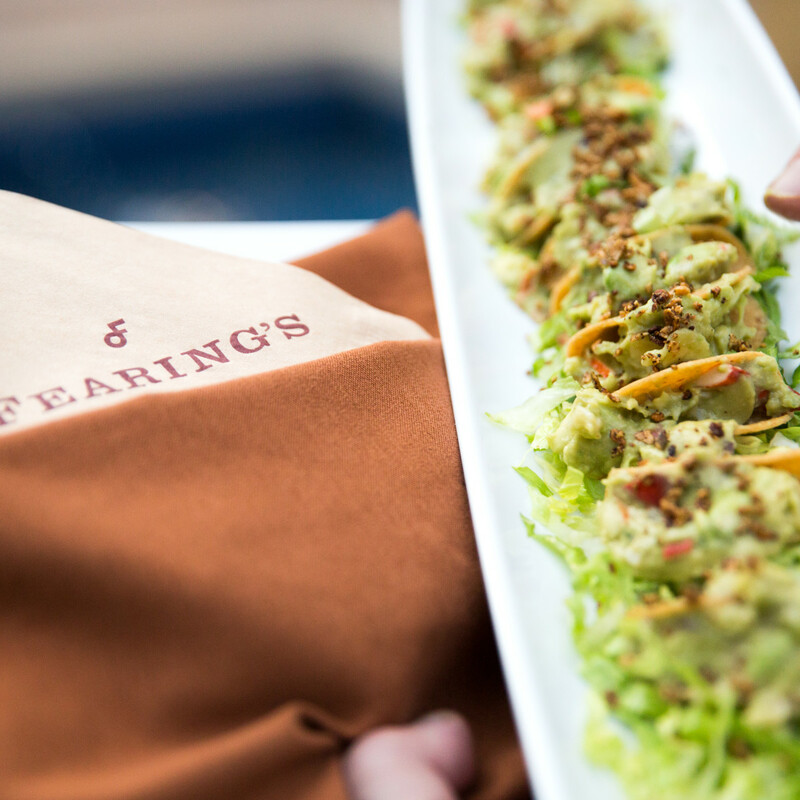 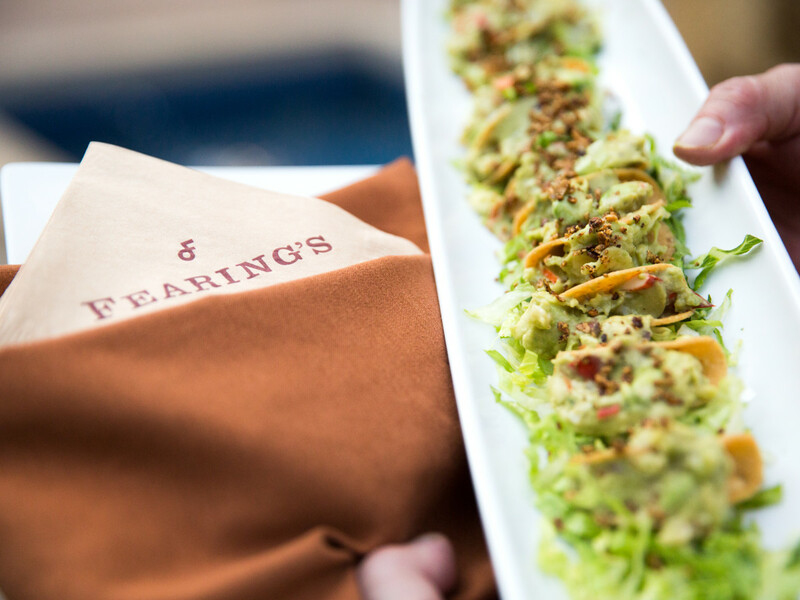 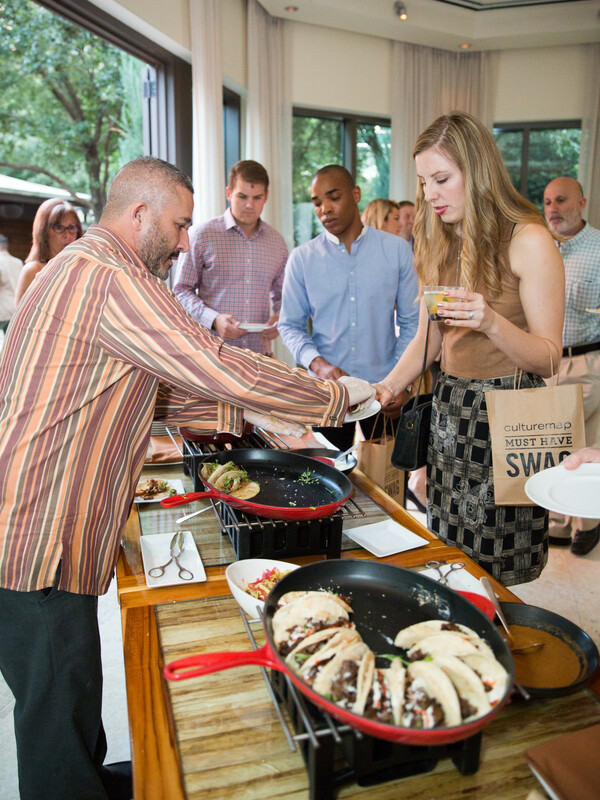 Bites were provided by celebrity chef Dean Fearing’s team and included everything from passed hors d’oeuvre like lobster nachos to a food station with a variety of tacos and some of the tastiest elotes that we’ve had yet. 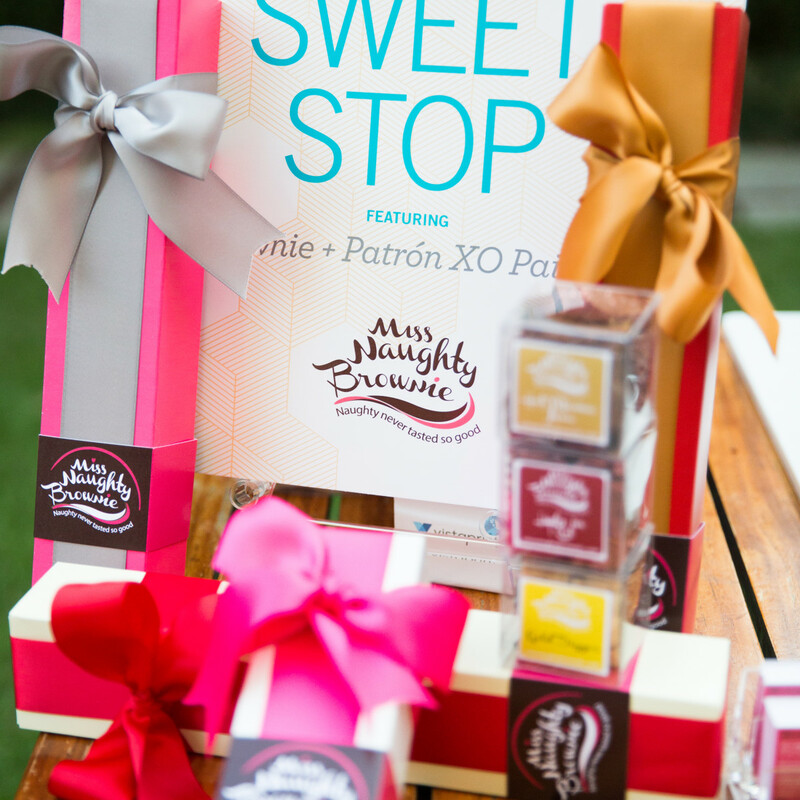 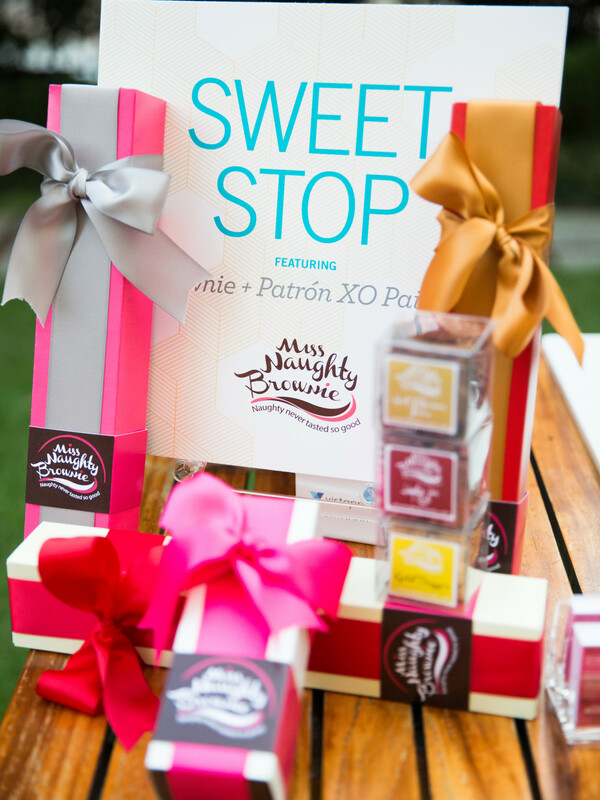 For dessert, guests nibbled on brownie bites (dark chocolate and sea salt were our favs) from Miss Naughty Brownie, paired with a Patron XO liqueur of your choice, either Cafe (coffee) or Incendio (spicy). 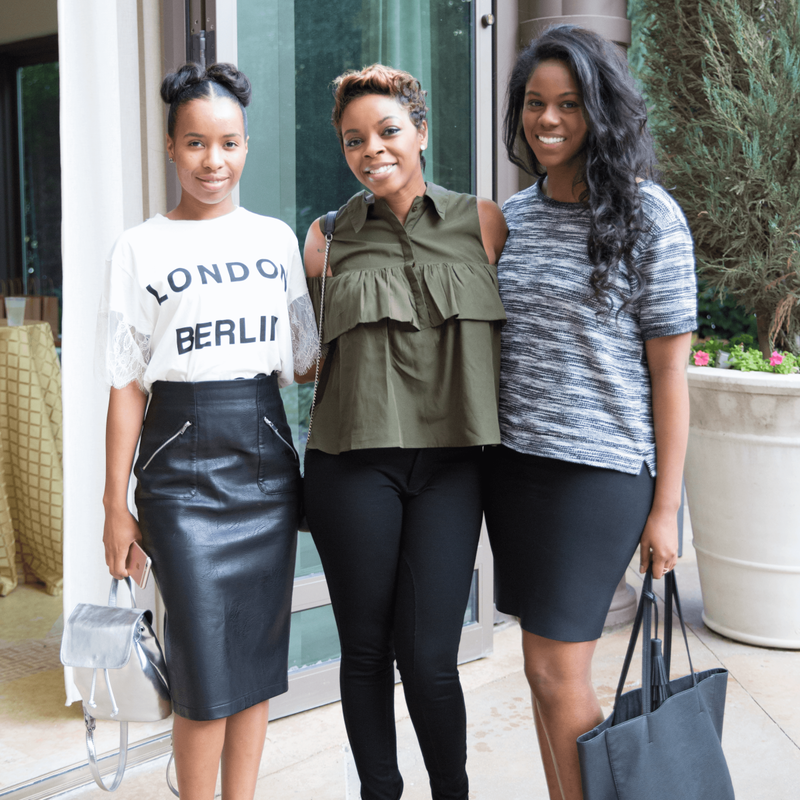 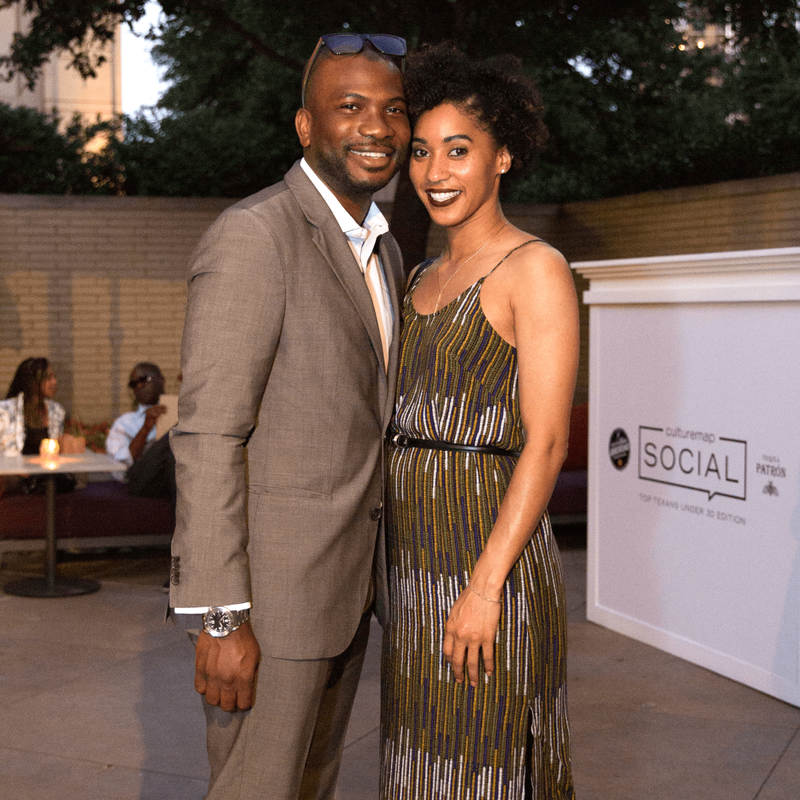 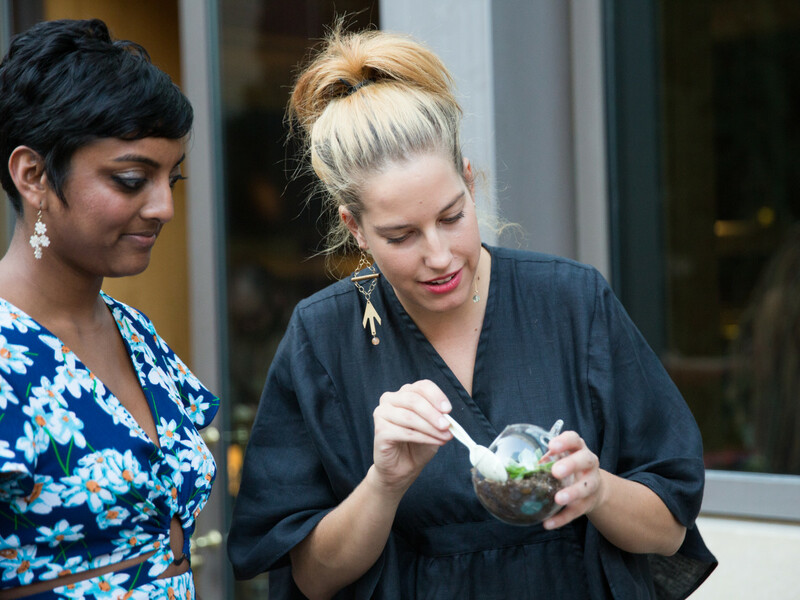 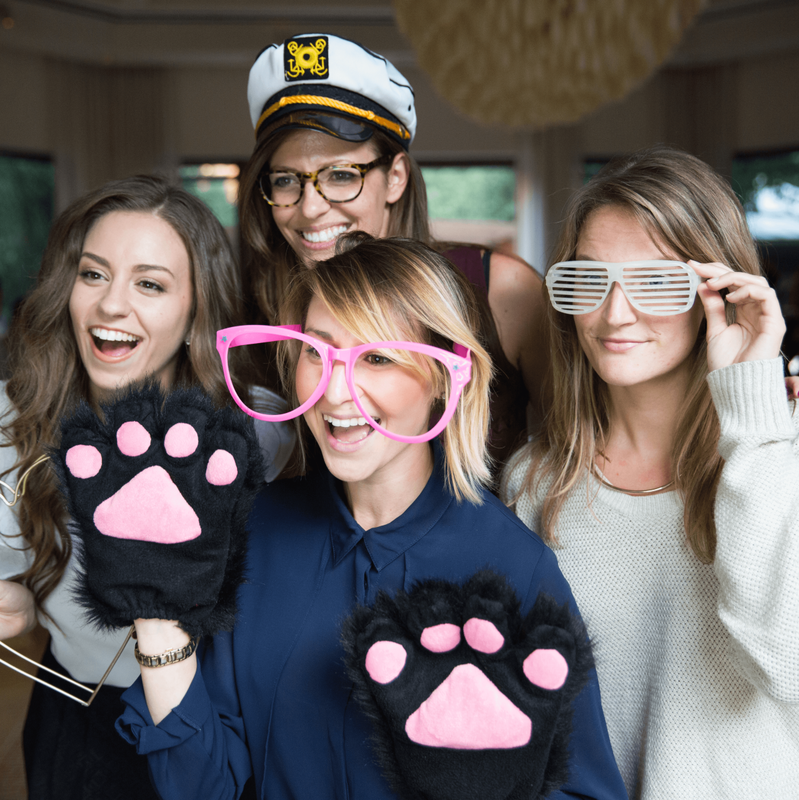 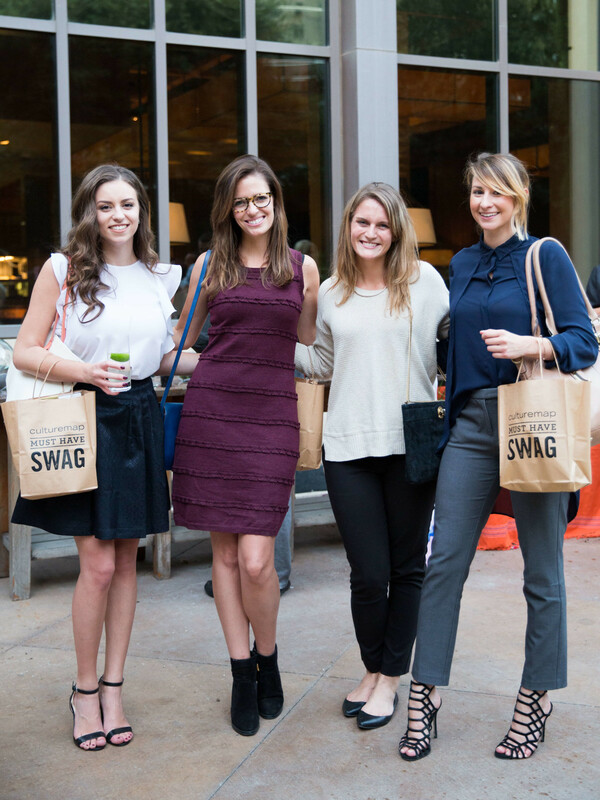 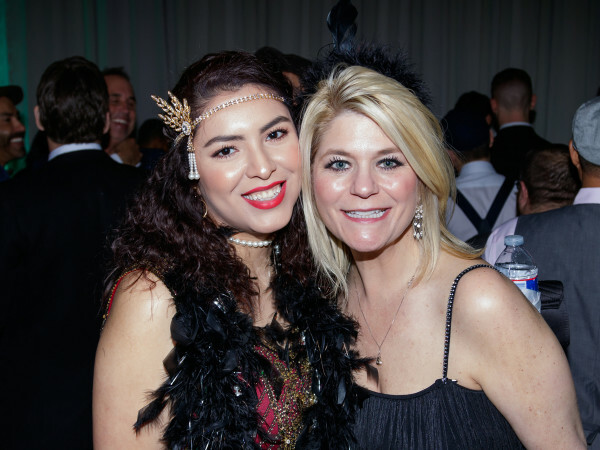 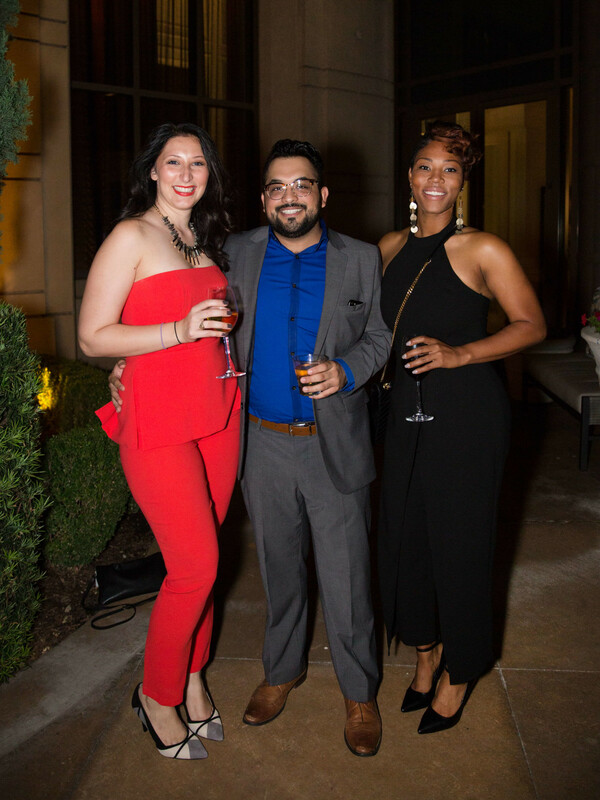 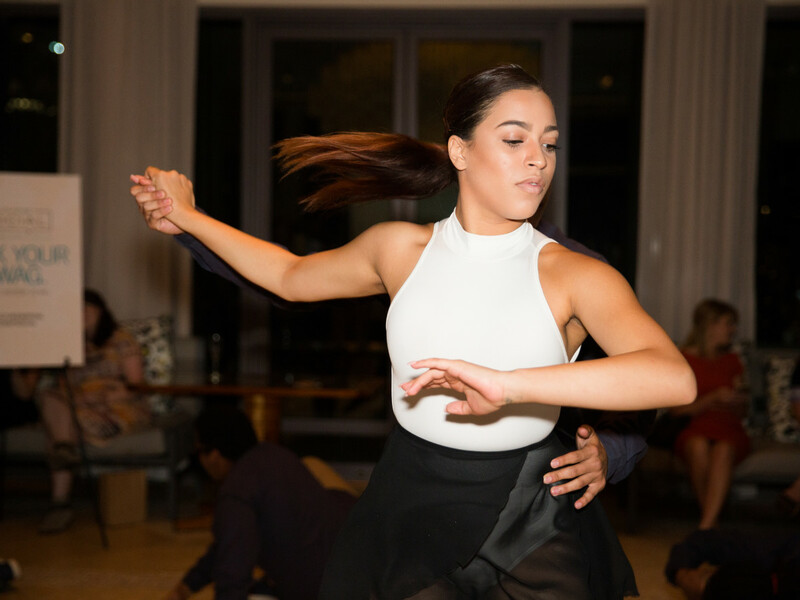 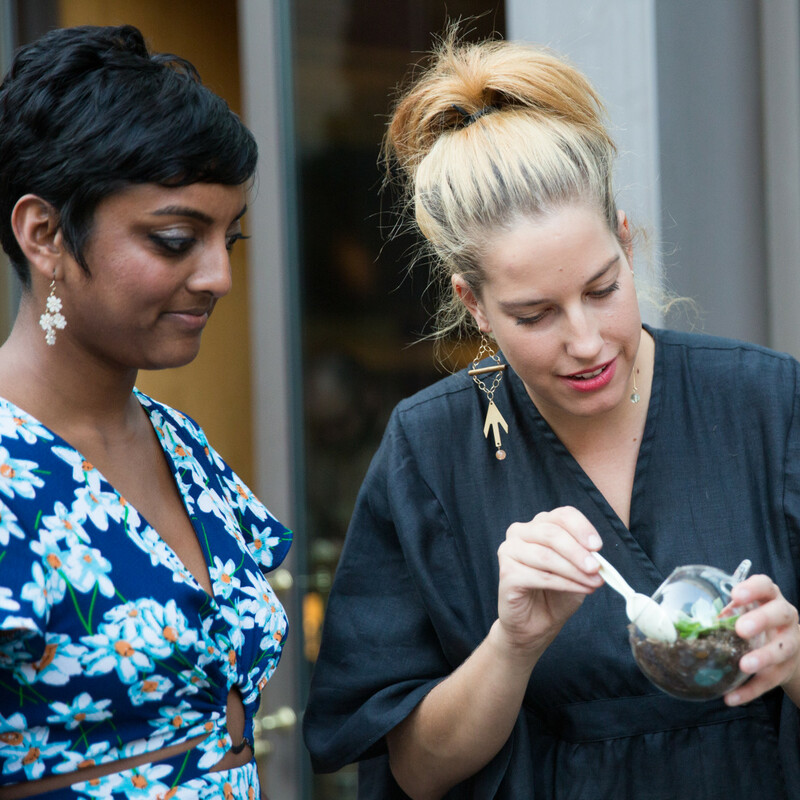 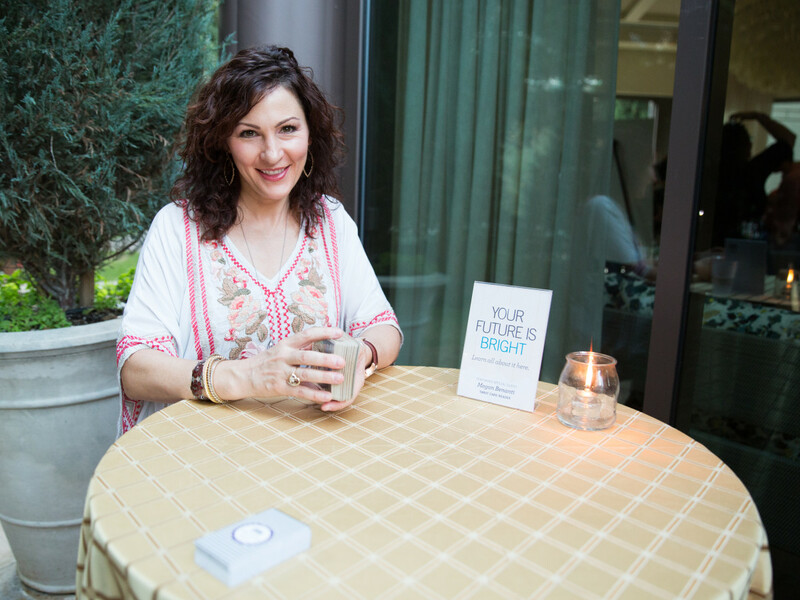 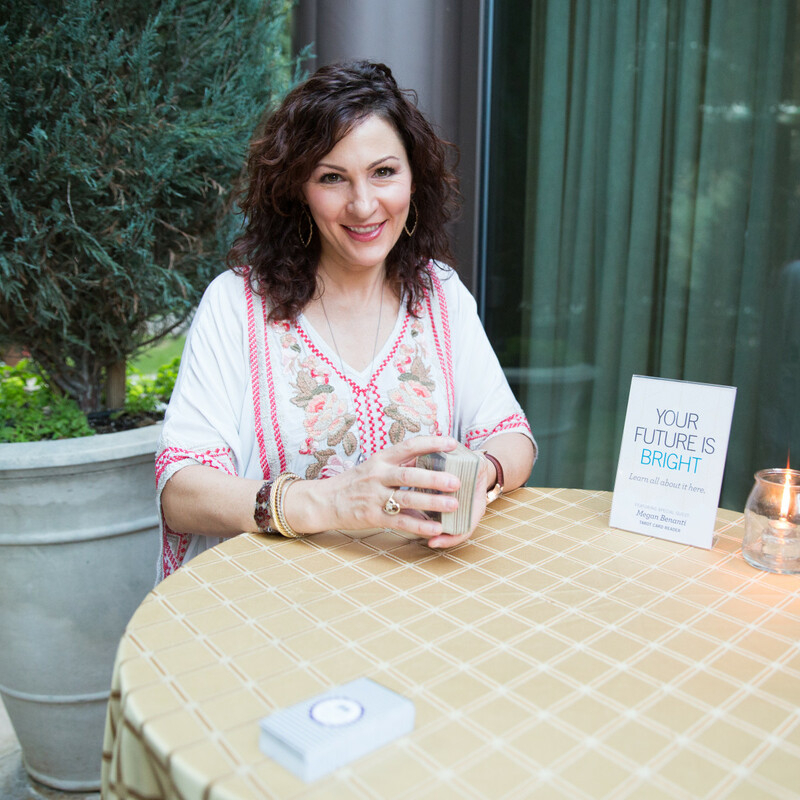 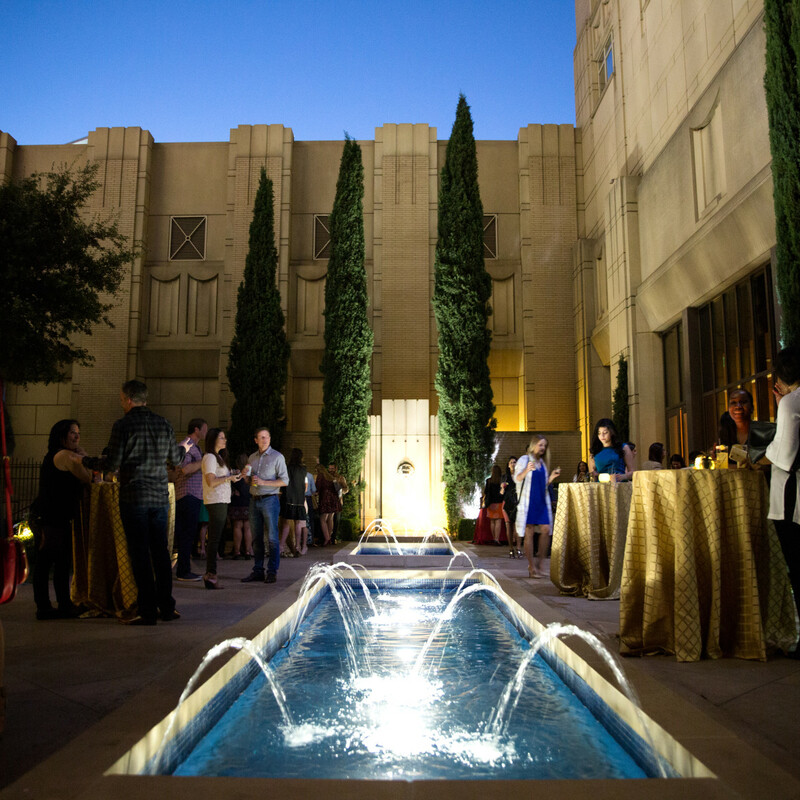 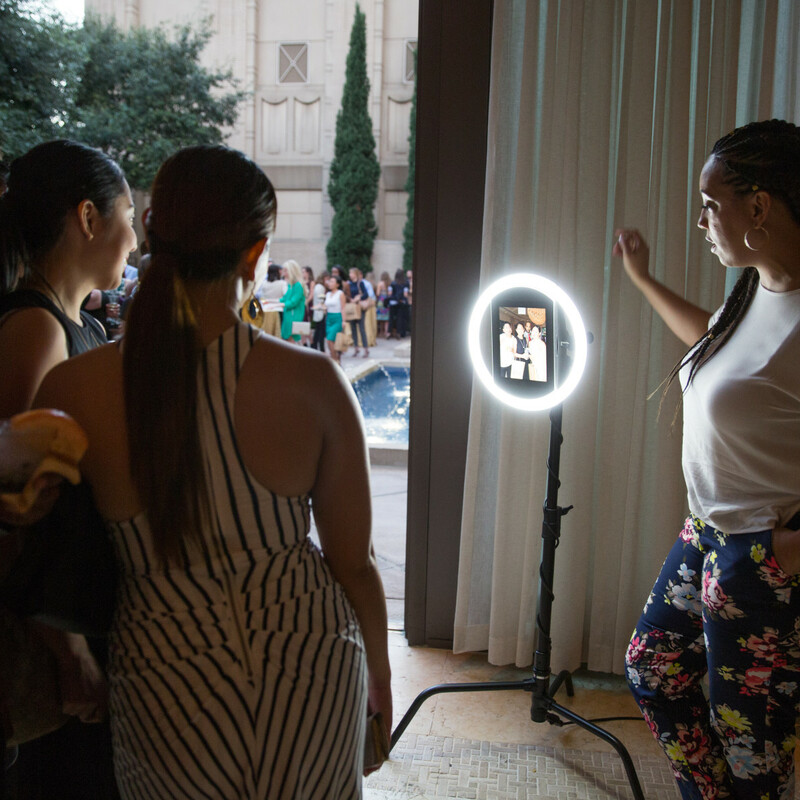 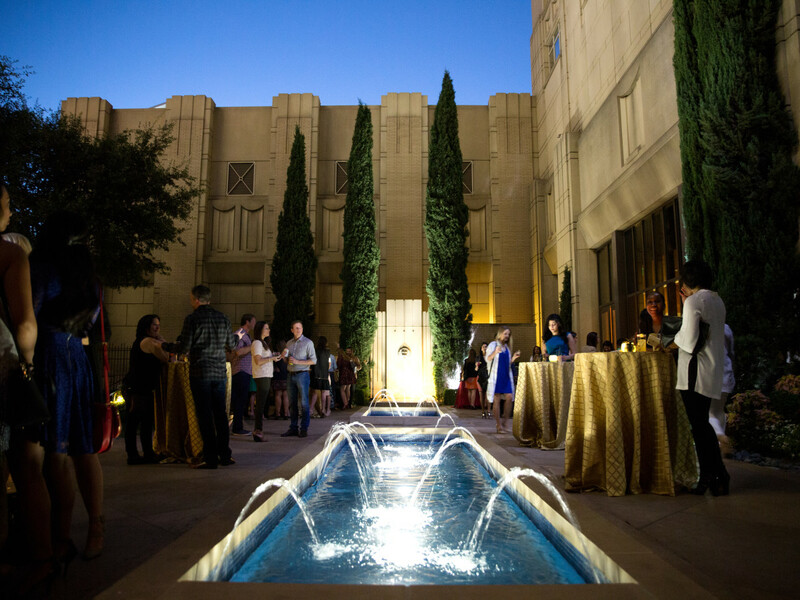 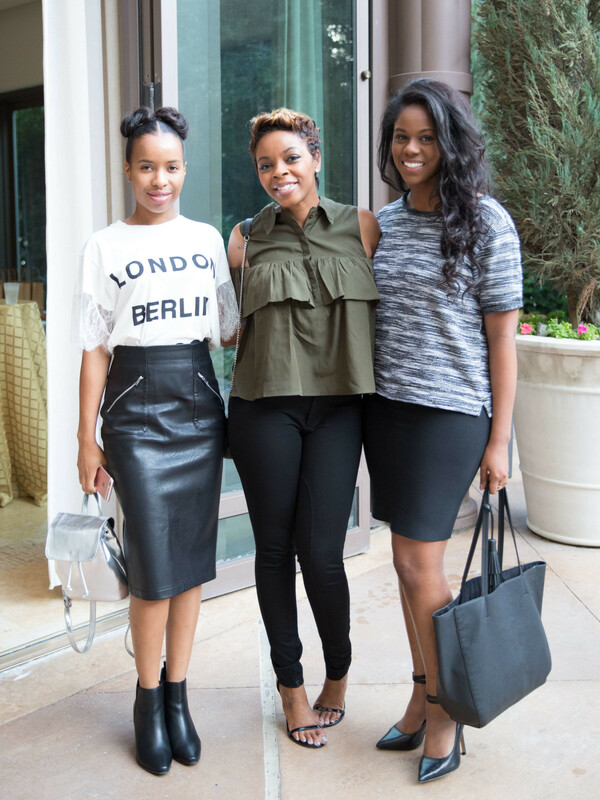 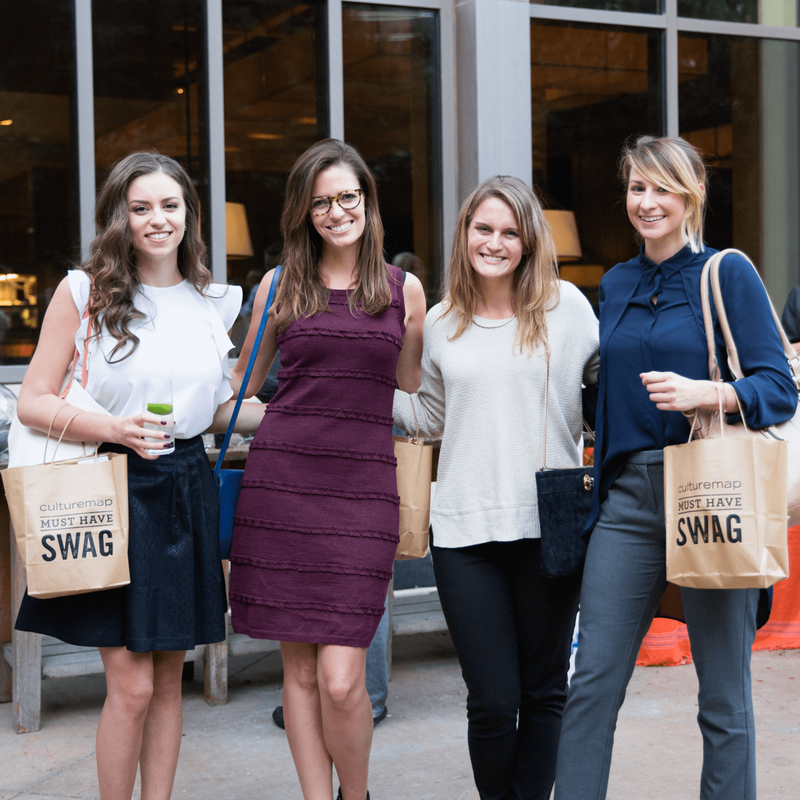 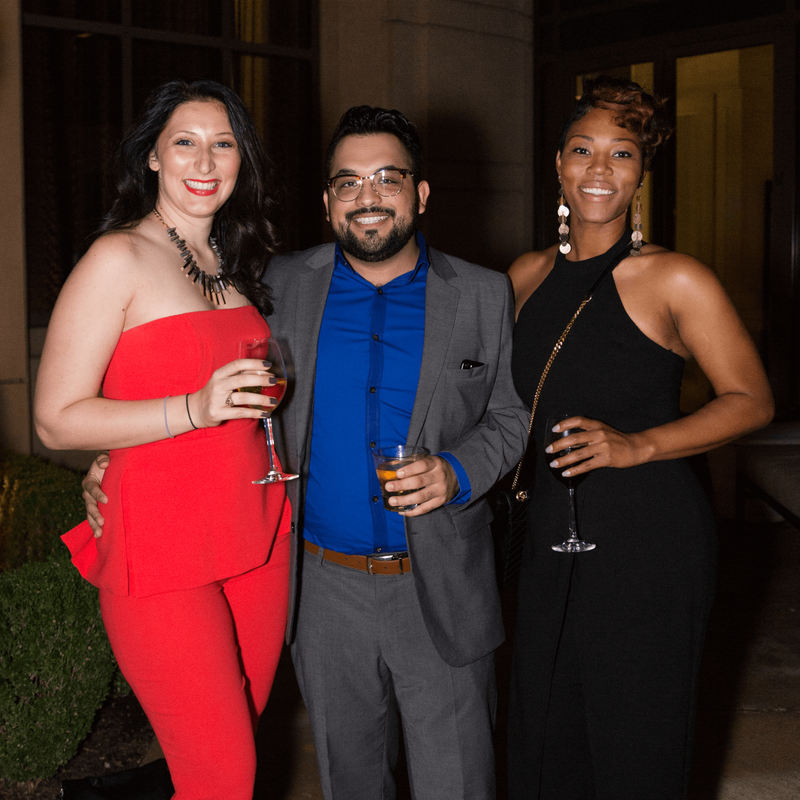 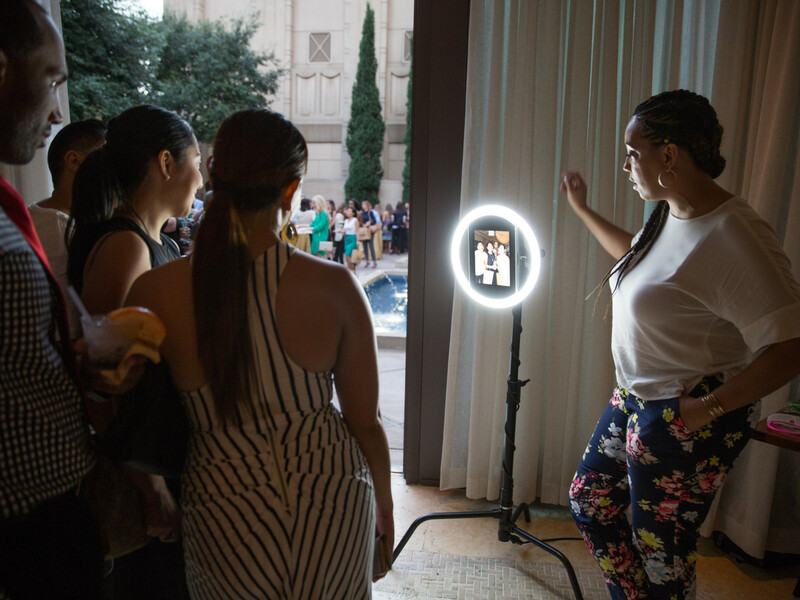 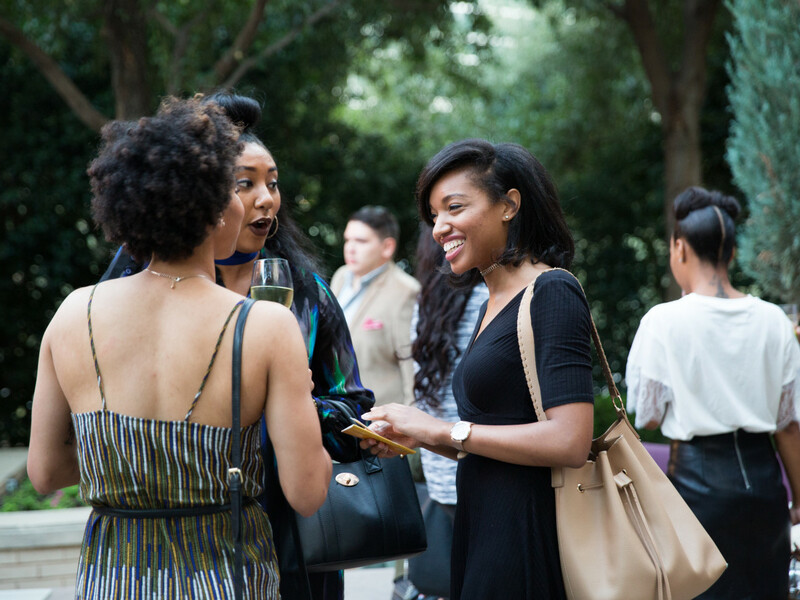 In typical CultureMap fashion, there were also plenty of fun activities, including a photo booth from My Event Is the Bomb, tarot card readings by Megan Benanti of Tarot Dallas, and a build-your-own succulent bar by Jade & Clover. 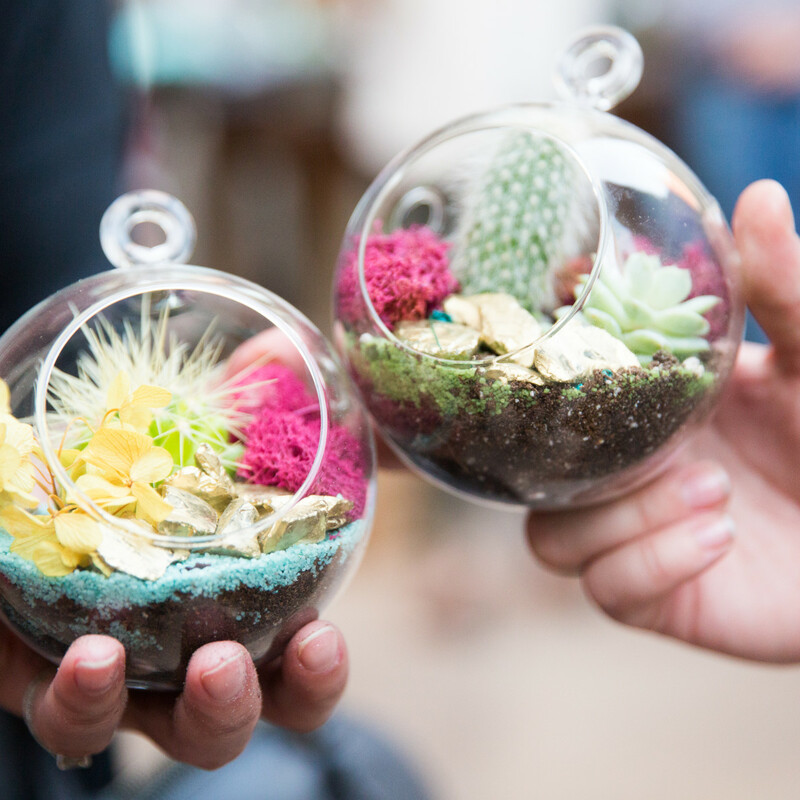 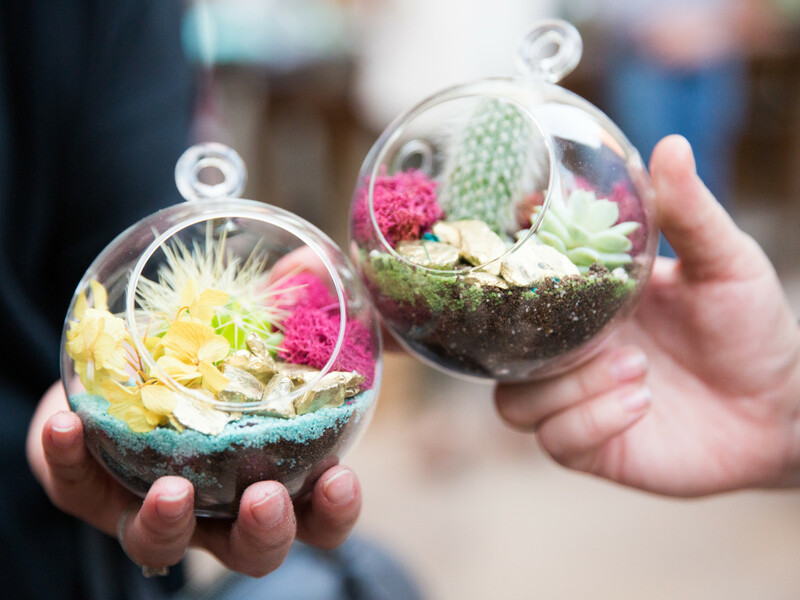 At the succulent station, owner Giselle Ruggeberg herself was on hand to help guests build their terrariums, offering tips and guidance as guests chose between an array of options, including colored sand, crystals, moss, and floral accents. 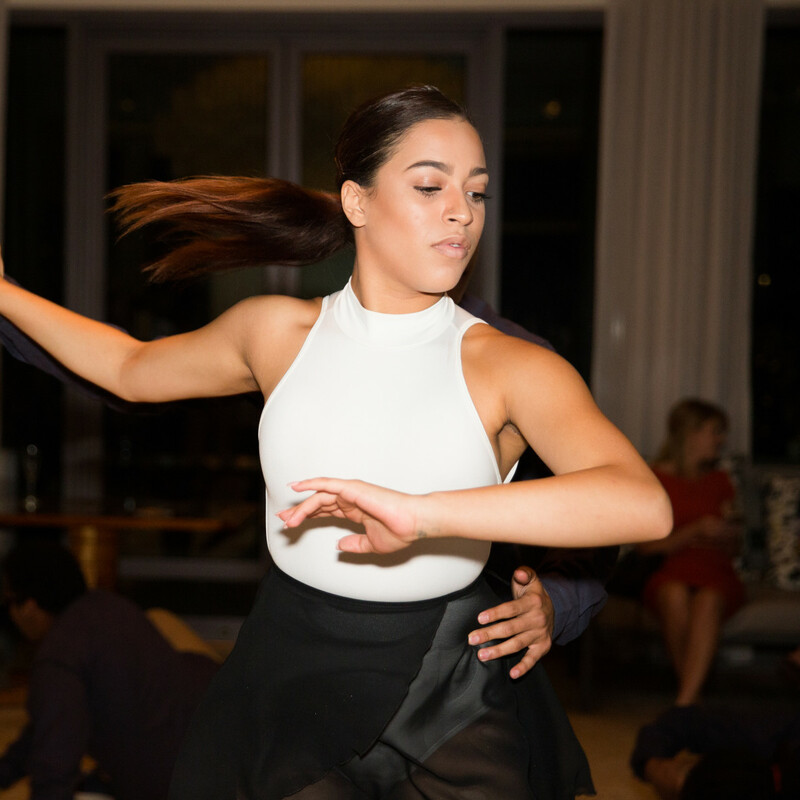 After a brief announcement highlighting Dallas’ five Top Texans by editor in chief Jennifer Chininis, guests were treated to a surprise pop-up performance by Red Bull Flying Bach, who delighted with dance moves that at times defied gravity. 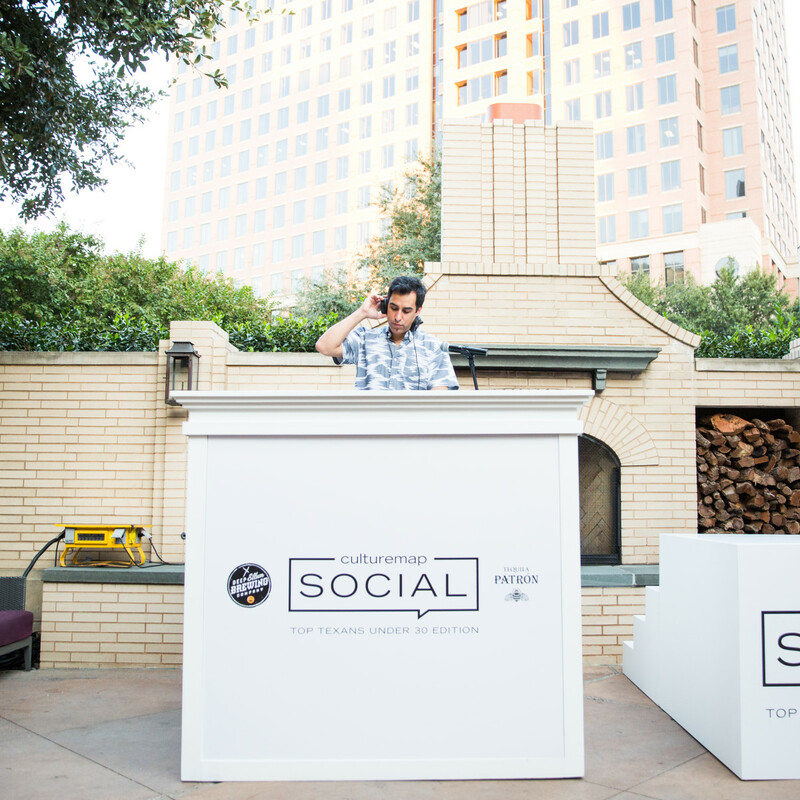 Throughout the entire evening, DJ Feezy kept the beats flowing. 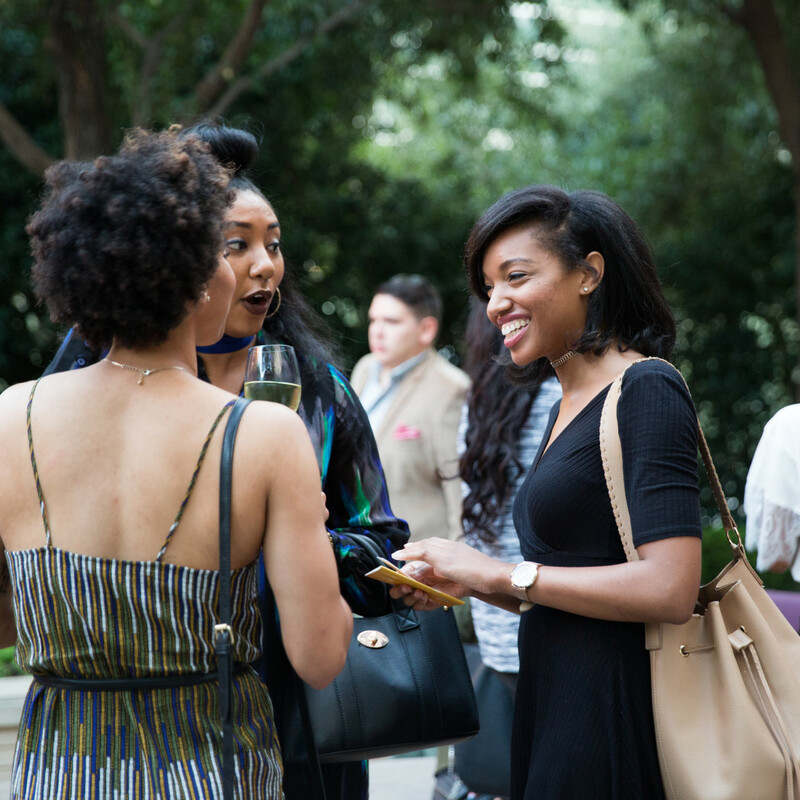 As the party wound down, guests — including Top Texans Under 30 judges Trey Bowles and Bryan DeLuca, Linda Snorina, Nnamdi Anozie, Choni James, Kelle Knight, Chris Lussier, Rebecca Quinto, Christian Gudino, and Brittany Stovall — grabbed their swag bags, full of goodies from Foot Cardigan, Jack Black Skin Care, Plum Yoga, Read Between the Lines, and SusieCakes. 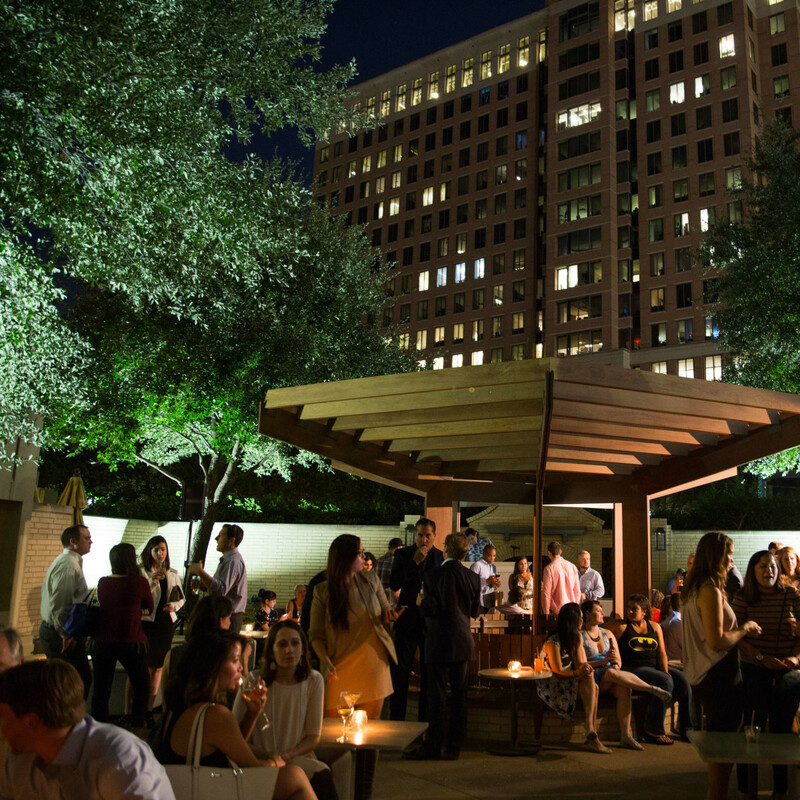 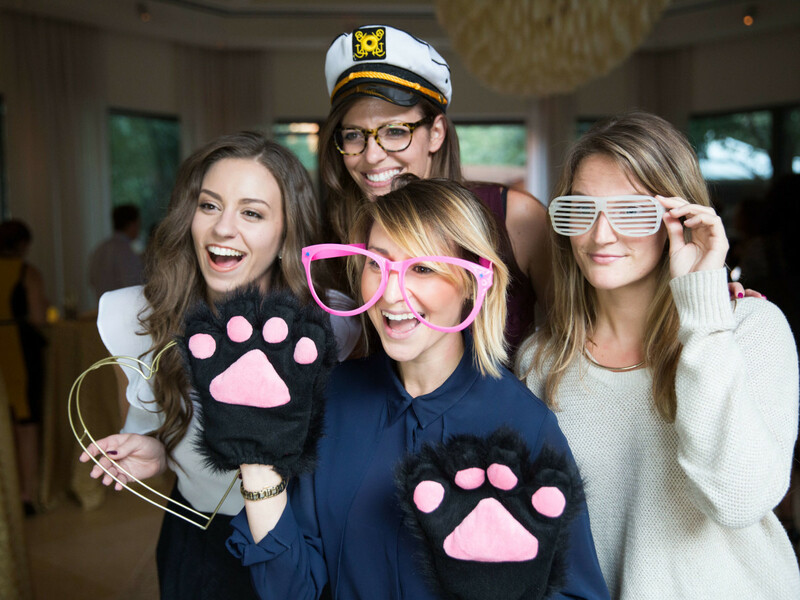 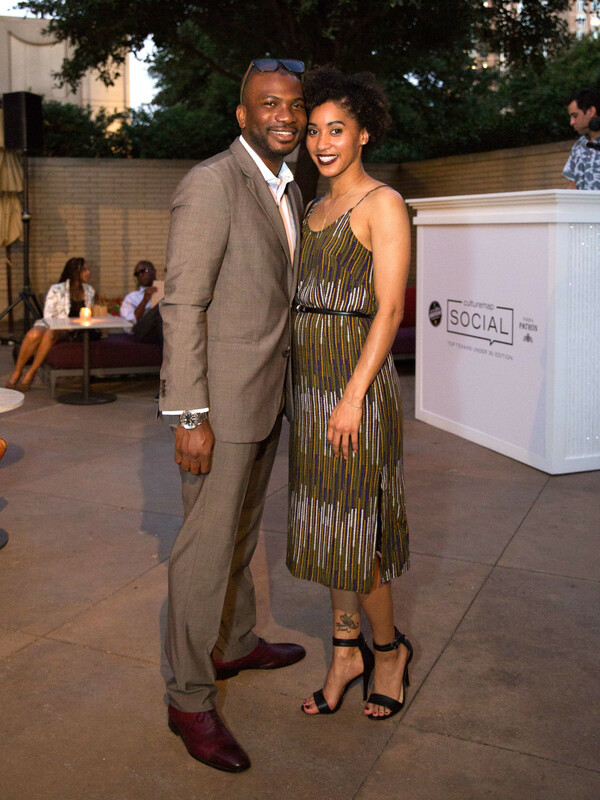 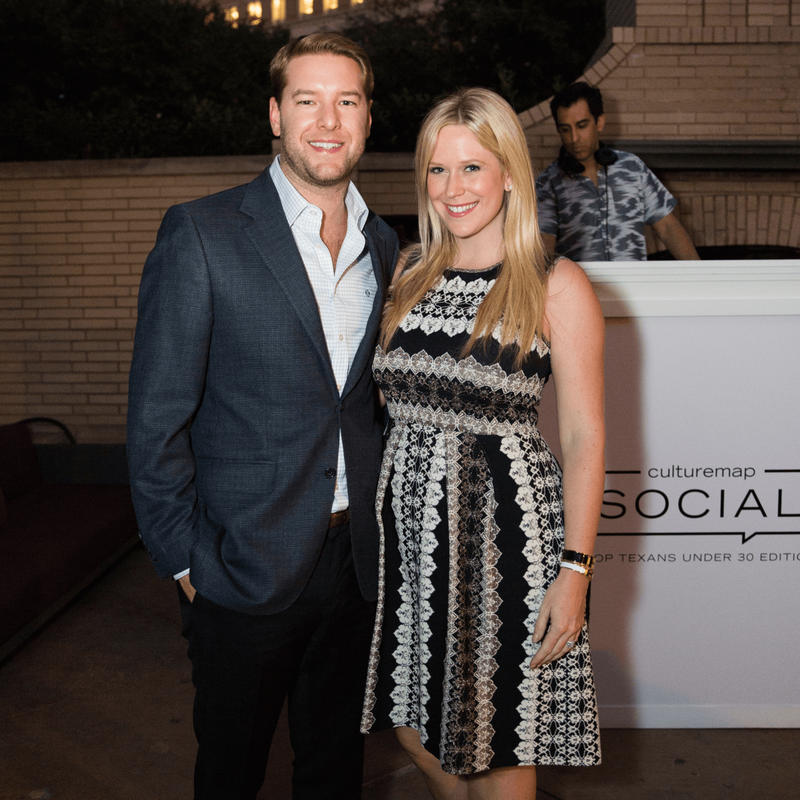 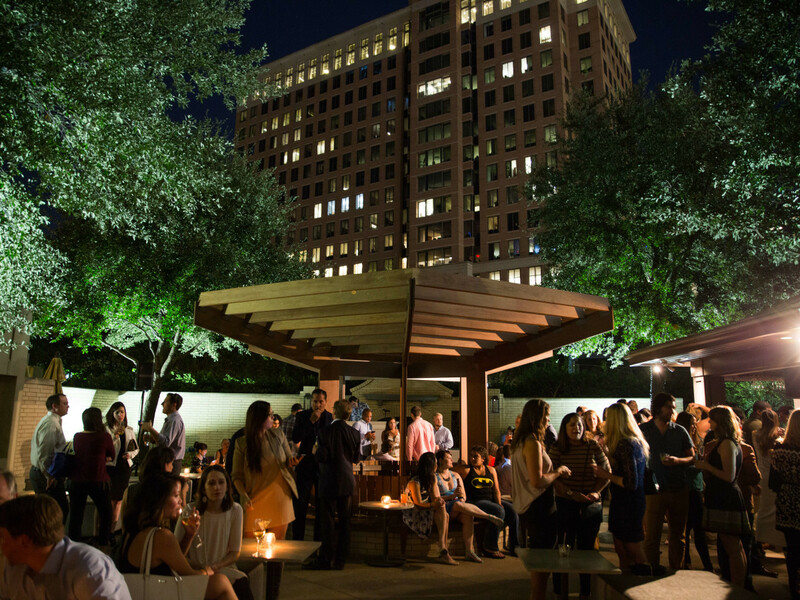 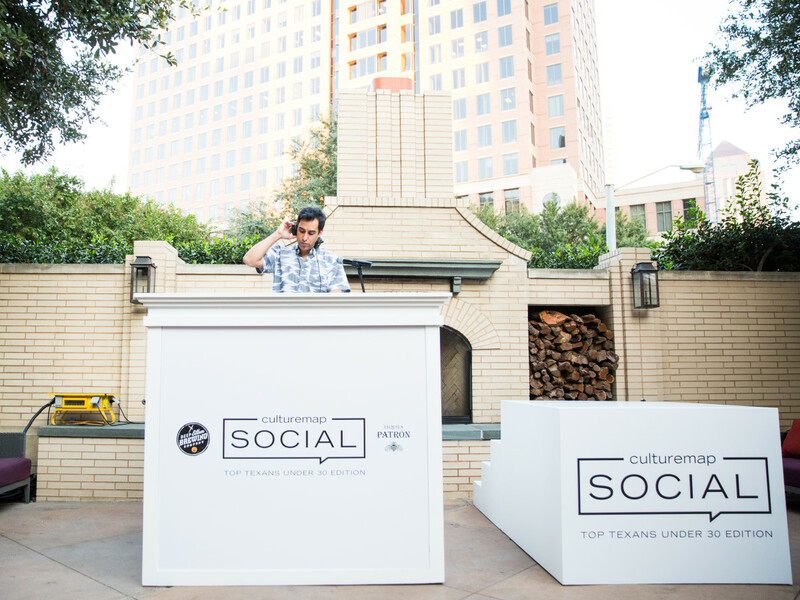 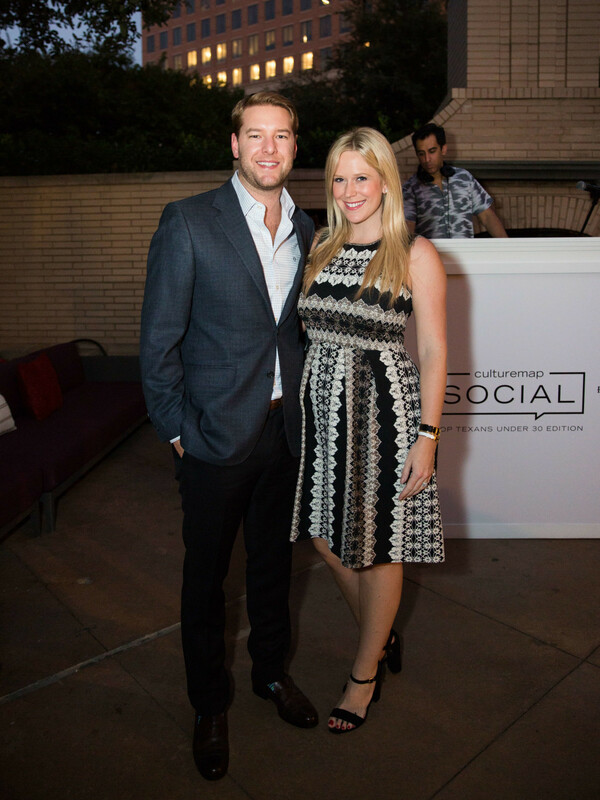 We will honor the remaining Top Texans Under 30 at CultureMap Socials in Austin and Houston.